La Mezaleria was on our list to try and we almost walked out because we couldn't get a table. Good thing we didn't because this was an amazing experience. Our server was our bartender who definitely made the experience a lot better. Great personality, funny, and super charismatic. We started our evening with drinks and the ceviche flight which consisted of pico, octopus ceviche, fish ceviche, and guacamole. All 4 cups were amazing. I ordered the bbq seafood platter which has ahi tuna, octopus, and prawns. It's cooked on a hot plate and heavily seasoned with salt and spices. The octopus may be the softest and most tender octopus I've ever had in my life. The ahi tuna was good but I had to eat it quickly before the hot plate cooked it through. The dish came with four tortillas that I made my own tacos with. Lillia and her friend ordered tacos and I was lucky enough to try a couple bites. I tried one that was a pan-fried pork with pineapples and mint leaves. Super refreshing and it felt like paradise in my mouth. The other one was a deep fried fish taco that was AMAZING. I honestly felt that the tacos were on par with Tacofino. 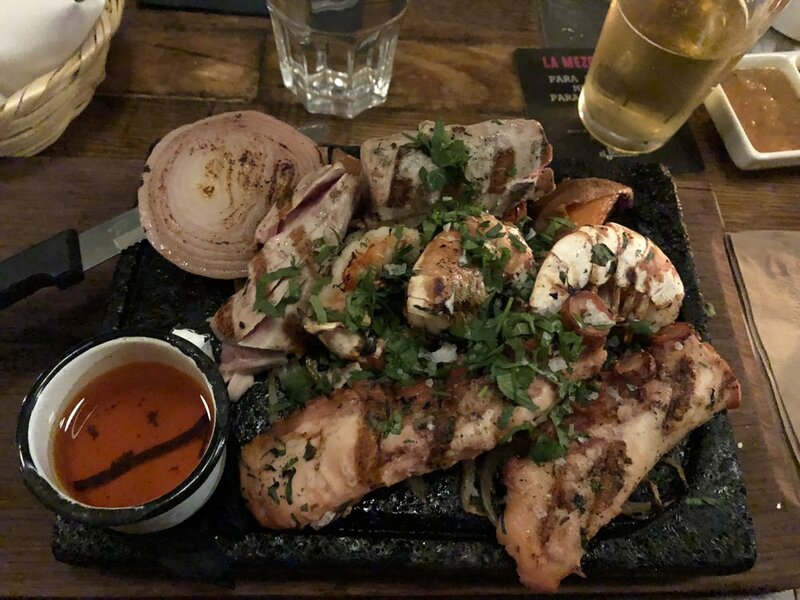 Highlights: Ceviche flight, bbq octopus, fish taco, pan-fried pork taco, beer selection, margarita.